KITT would just be a talking car and an extension of Michael except that the writers gave him and his voice actor, William Daniels, good lines. Lines that would fit in around a table during a role-playing game. Not to mention, how many cars have a nemesis? Ignoring /Transformers/, and they came later, KITT got one of the typical plots in action and science fiction series, the evil twin. KARR, the Knight Automotive Roving Robot, appeared in the first season episode "Trust Never Rusts" and returned again in the third season episode, `KITT vs KARR". KITT deserves to be more than just a prop for a PC. There are several games that would let KITT be a viable PC. Superhero RPGs are flexible because of the nature of what they're emulating. But I am not one to take the easy way. No, I am going to use Cortex+ as presented in the Firefly RPG from Margaret Weis Productions I'll make note of changes to character creation due to KITT being a car instead of a human, but I don't expect too many to happen. I'll use the same form I've used for previous characters, like Maera. The Knight Industries Two Thousand, or KITT, built to help Michael Knight fight crime and corruption where regular law enforcement can't. See also, the pilot to Knight Rider. The choice here is either d8s across the board, or raise one to d10 by dropping another to d6. 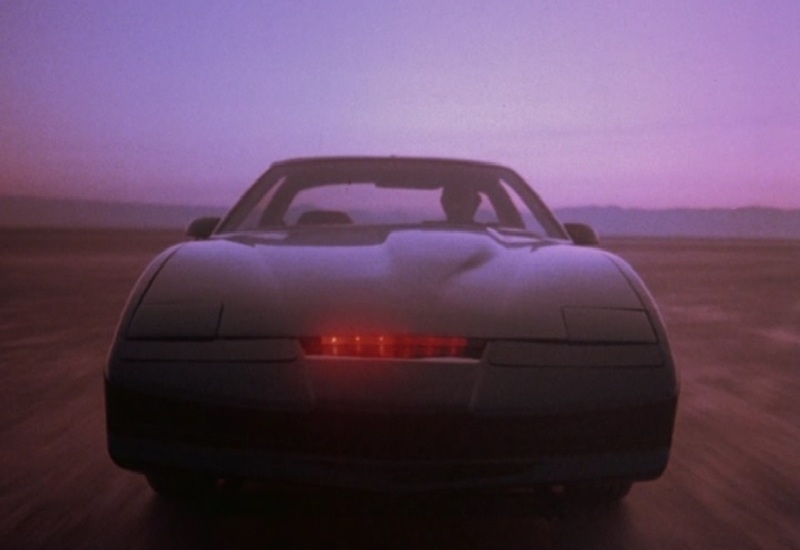 As an AI, KITT should have high Mental, but as a car, he should have high Physical. KITT has been shown to move objects that the typical TransAm couldn't, but he is a player character, so that's sort of built into the system. My first thought is to put a d10 into Mental, lowering Social to d6. KITT learns about humanity through the series. 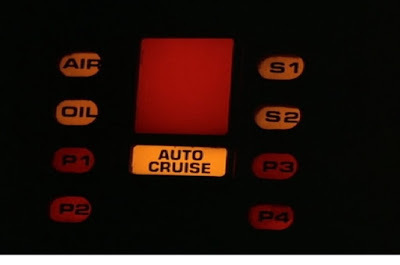 In Knight Rider 2000, KITT is shown to be a little bitter, so the drop in Social feels right. Physical remains at d8. For Distinctions, I will be using both the core rules and the supplement, /Things Don't Go Smooth/. The first thing I want to cover is that KITT is a self-driving car. There's no Distinction that covers that in the game, but there's something close enough. Ship's Pilot has the triggers I'll want for the next step and the two of the three skills that fit the concept, just lacking Drive. I'll rename Ship's Pilot to Road Warrior - not the best, but it's descriptive enough - and exchange Fly for Drive. The triggers don't change. KITT can now step up Drive, Notice, and Operate. Over in Things Don't Go Smooth, there's a Distinction called Artificial Consciousness, which sums up KITT well. I don't have to change a thing here. KITT now gets to step up Know, Notice, and Operate. The latter two skills will be useful when KITT uses his radar and jammers. One last Distinction is needed. A look through the entire list in both books leads ideas like Big 'Un (KITT is bigger than a human) and Soft Spoken (inspired by Daniels' portrayal as the voice of KITT). Soft Spoken wins out; KITT seldom yells and the triggers fit the character well. KITT now gets Focus, Influence, and Notice. I now need to choose two Distinction triggers from the ones listed for each Distinction taken above. The first is from Artificial Consciousness, Restore from Backups, letting KITT to come back into a scene even if taken out, though at a one step reduction in Mental. The other Distinction comes from Ship's Pilot, Born Behind the Wheel. It's natural, but now calls into question whether there will be a KITT the PC and a KITT the car both. Given that chases will mean both Michael and KITT the PC will use KITT the car, then yes, there is that separation. KITT the PC can spend a plot point to double Engines for a roll. The skills mentioned in Step 2 get stepped up. Notice appeared in all three, so it gets stepped up three times to a d10. KITT's sensors are just that good, and it fits with what has been shown in the series. Operate gets bumped up twice, and the remaining just once. I now get to spend 9 points to raise more skills; it costs me one to raise a highlighted skill from a Distinction and two for the rest. I'll spend three points to raise KITT's Drive to a d12, one to raise Know to d8, and one to raise Operate to d10. The last four points go to raising Sneak to d8, to represent his Stealth Mode. With Know raised above d4, KITT gets an automatic specialty in the skill. I'll put American Streets and Highways there; KITT has maps. That still leaves the usual five points for specialties and Signature Assets. Turbo Boost was a standard on the show, used at least once per episode, so I'll put that on the sheet at d8 for two points. I'll add Self as a specialty for Drive and for Operate; it's a cheesy move since KITT can't drive or operate anything that's not himself. The last point could got to taking KITT as a Signature Asset, but even I'm balking at that. That's a guarenteed extra die for every roll, going beyond what a Signature Asset should be. Instead, I'll add Kids as a specialty of Influence. KITT got along with the younger set. Again, I will refer people to Knight Rider for extensive details. Finally, the completed character sheet. The game managed to not break badly when adapting KITT. Michael would have a better range of skills, and the game does allow for aiding by passing along skill dice. 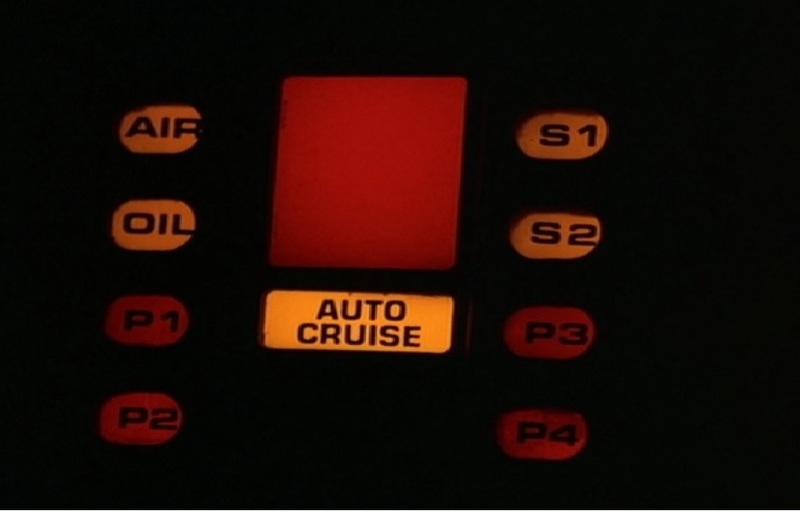 In the show, whenever there's an obstacle, Michael does the basic driving and the roll, but KITT loans his Drive die, and vice versa. Restore from Backup: Once per Episode when you are Taken Out of a conflict that would eradicate your program, step back Mental until the end of the Episode to come back in the next scene. Born Behind the Wheel: Spend 1 PP to step up or double your ship’s Engines Attribute for your next roll.